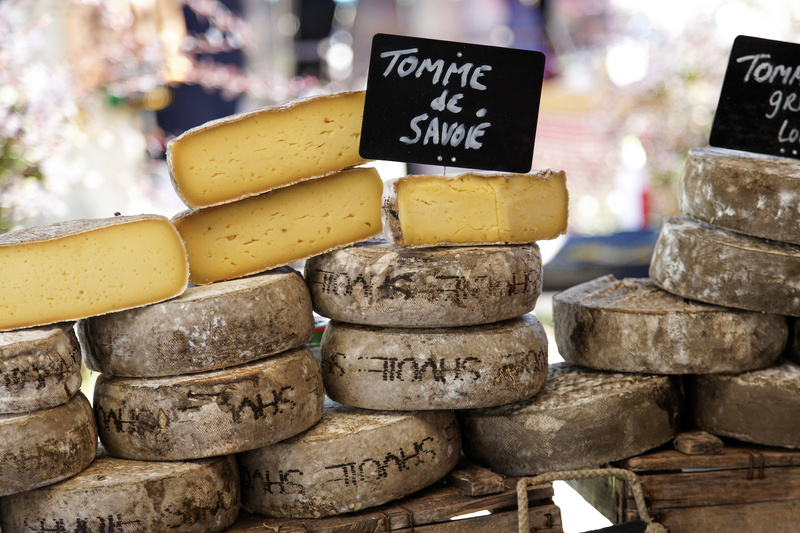 Have you tried…Tomme de Savoie? Tomme is a family of cow’s milk cheeses produced in the French Alps, typically named for the village from which they’re produced and the milk comes almost exclusively from locally bred cows. Tomme de Savoie dates back to ancient history and is produced in the Savoie region in France, part of the Auvergne-Rhone Alps in Eastern France. Tomme de Savoie has a thick, dark gray, downy rind. In 2006 it was decided that a true dairy Tomme de Savoie must be marked “Savoie” on the wheel with food-quality ink of a burned wood color. The delicate, subtle flavor is slightly sweet, yet tangy. The cheese is made year-round, and typically has a slightly different character depending on whether the cows are fed on winter hay or summer grass. The texture is both soft and firm with numerous irregular “eyes” spread throughout. Internal links within the site are funded and maintained by the Imported Cheese Board. All other outgoing links are to websites maintained by third parties.